Extracorporeal Shock wave Therapy (ESWT) is used in horses for a number of conditions. The shock waves are created, emitted and directed into the injured area via a probe. Energy is delivered as shocks and the amount of shocks delivered depends on the condition being treated. 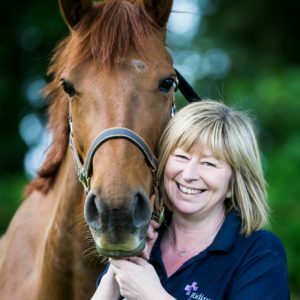 Shockwave therapy effects the tissues by increasing blood flow, having direct cellular effects and pain relieving effects, all assisting your horses natural repair mechanisms and stimulating healing. Treatment is usually performed at 7-10 day intervals and can be done at your yard. Horses are treated under standing sedation and one to three treatments are usually required. The procedure is not painful although can be uncomfortable. The treatment takes 5 – 10 minutes and no specific aftercare is required. For further information or if you think your horse would be a suitable candidate for shockwave therapy please give us a call or see the information pages.